08. Itinerary in Detail : Start from hotel by 6:00 to 7:00 AM, Breakfast will be served at Tinjure base camp, which is a 30mins drive from Gangtok. Begin trekking after breakfast and continue till you reach Tinjure Top or till lunch time, Tea / Beverages will be served at breaks. Lunch at Tinjure or area reached by lunch time. Some rest after lunch and continuation of trek. To descend down to base by 5:00 PM and leave for hotel. The company reserves the right to cancel any trek without assigning any reason whatsoever, however in such cases 100% refund will be made immediately. Guests with critical illnesses, children and elderly are advised to consult their doctor before undertaking any trekking activity. Completing the trek upto destination point is not a guarantee from our side;it will depend upon stamina and endurance of guests. Transport from pick up point upto base and back. Gear package including Kit bag max 5kg per person. Services of a professional guide and trekking staff. Porters or Horse to carry all gear max 20Kg for Porters and 50Kg for Pack Animals. Food Includes Break Fast, Lunch Pack, Tea. All trekking fees and local permits. Items of a personal nature such as phone calls etc. Personal expenses like, tea, beverages, alcoholic drinks,telephone calls, tips and gratuities. Medicare & insurance (Clients should have an all inclusive insurance policy that soul cover medical,emergency evacuations, baggage loss or damage, etc). Additional services not mentioned above in the included clause Tips. Inner Line Permits (ILP) are required by foreign tourists to enter Sikkim. Permits are available at all Indian Consulates in the home countries and at Sikkim Tourism Offices in Delhi, Kolkata and Siliguri. They are also available upon entry at Rangpo Check post.Indian tourists also need to carry an identity proof document viz. Passport / Voter ID / Driving License / PAN Card / Govt. ID card etc. Restricted Area Permits (RAP) is required to by all tourists to enter certain border areas within Sikkim. These are available at Mangan and Gangtok. Tea / Beverages will be served at breaks. Lunch at area reached by lunch time. Some rest after lunch and continuation of trek. Reach Tinjure, Camping at Tinjure in Tents provided. The company reserves the right to cancel any trek without assigning any reason whatsoever, however in such cases 100% refund will be made immediately. Guests with critical illnesses, children and elderly are advised to consult their doctor before undertaking any trekking activity. Completing the trek upto destination point is not a guarantee from our side; it will depend upon stamina and endurance of guests. Transport from pick up point upto base and back >Gear package including Kit bag max 15kg per person. Gear Package include kit bag, sleeping Bag, down jacket and insulated mat while trekking. Trek tented camp with the services of our trek crew, camping equipment. Services of a professional guide and trekking staff Porters or Horse to carry all gear max 20Kg for Porters and 50Kg for Pack Animals. Dzongri is situated at an altitude of about 13,000-ft., in west Sikkim. It offers the trekker a most fascinating close-up view of Khangchendzonga and Mt. Pandim. To the west rises the long outline of the Kyangla ridge. Dzongri is trekker’s paradise. Goecha La is situated at an altitude of about 16,000 ft. Geochala offers a mind catching sight of the mountains like Pandim, Khangchendzonga and the others. This specially designed Dzongri or Goechala trekking tour in India Himalayas is a combined effort of a team of certified mountaineers and travel agents in India aiming at making travel economical and affordably cheap for the budget trekker as well as maintaining quality at par with the world-class standards. We feel our job as tour operators and trek guides, is to design treks giving our customers a memorable experience in trekking adventure. Grade: Moderate, Altitude: 4000 meters, Time: April May, October, November Average, Walking time: 4-5 hours per day. Day 1- ( Gangtok -Yuksom) Transfer to Yoksum by car. It is a 5-hour drive along some of the tea gardens and then up the mountainous roads to an altitude of 1770 meters. Check into lodge/camp. Rest of the day for familiarization and acclimatization. Overnight at the lodge/camp. Day 2- (Yuksom-Bakhim): On second day of Dzongri or Goecha La Trek, after breakfast we start the trek (12 kms) to the small Tibetan settlement of Bakhim (2800 m). The trail passes through the forest of Rhododendrons, magnolias and Oaks. There are a number of suspension bridges and streams of crystal clear water. Hot lunch on the way . After the last bridge is crossed a comparatively steep climb of 45 mins brings us to the campsite for the day, Bakhim. Overnight in Bakhim. Day 3- (Bakhim-Dzongri): Dzongri or Goecha La Trek continues. After breakfast trek (10 kms / 06 /07 hrs ) to Dzongri. (4000m). The track is through one of the most beautiful Rhododendron forest in the Himalayas. There are different varieties of Rhododendrons, ranging from the Rhododendron Grande to The rhododendron Nivale. The flora becomes sparse as one climbs higher up. Hot lunch on the way at Phedang. The climb after lunch takes us to Deorali top from where the mountains can be seen at a closer range . The trail from here is flat and a little descending till Dzongri. Overnight camp at Dzongri. Day 4- (Dzongri-Thansing): On Day 4 of Dzongri or Goecha La Trek, we take an early morning walk to Dzongri Top to witness spectacular sunrise view over the Kangchendzonga Ranges. After breakfast trek (6 kms /03/ 04 hrs) to Thansing.(3746m). The trail descends down to the river and a gradual climb through the river bank and a mixed forest brings us to Thangsing. The peaks of Tinchingkhang and Jopuno tower right on top of this valley and Mt. Pandim appears straight ahead. Overnight camp at Thangsing. Day 5- (Thangsing-SamitiLake):Dzongri or Goecha La Trek continues with an after breakfast trek (4 kms /04 hrs ) to Lake Samiti (4300m). The lake is considered Holy by both the Buddhists and Hindus alike and the pilgrims come here to pray and offer incenses to the guardian diety of sikkim, Kanchenjunga. Overnight camp at Lake Samiti. Day 6- (SamitiLake-GoechaLa-Thangsing):On day 6 of Dzongri or Goecha La Trek, we take a very early morning excursion (07 / 08 hrs ) to The Pass - Goecha La ( 5000m ). The trail is through moraines and rocks and passes through the dried glacial lake of Zemathang and the Juniper medow of Nimashang. After spending sometime at the pass, head back to Samiti Lake where Hot lunch will be served before proceeding further down to Thangsing. Overnight at camp. Day 7- (Thangsing-Choka):After breakfast , trek (14 kms / 6-7 hrs) back to Choka (3000 m). Hot lunch on the way. Overnight at camp. Day8- (Choka-Yuksom):After breakfast trek (16 kms / 5-6 hrs ) to Yuksom. Hot lunch on the way. Overnight at camp. Camp fire and dances by the staff. Farewell dinner. All internal transport in Sikkim. Gear package including Kit bag max 15kg per person. Trek = tented camp with the services of our trek crew, camping equipment. Porters Dzo or Horse to carry all gear max 20Kg for Porters and 50Kg for Pack Animals. Food Includes 1-Bed Tea. 2-Break Fast.3-Lunch Both Pack and Hot Lunch.4-Tea and Snacks.5-Soup, Dinner and Deserts every Day during the Trek and at Lachen / Lachung. We serve Indian, Chinese, Continental and sikkimese dishes. All First Aid and High Altitude Medicine For the trek. Personal expenses like, tea, beverages, alcoholic drinks, telephone calls,tips and gratuities. Medicare & insurance (Clients should have an all inclusive insurance policy that soul cover medical, emergency evacuations, baggage loss or damage, etc). The company reserves the right to cancel any trek without assigning any reason whatsoever, however in such cases 100% refund will be made immediately. Guests with critical illnesses, children and elderly are advised to consult their doctor before undertaking any trekking activity. Completing the trek upto destination point is not a guarantee from our side; it will depend upon stamina and endurance of guests. Inner Line Permits (ILP) are required by foreign tourists to enter Sikkim. Permits are available at all Indian Consulates in the home countries and at Sikkim Tourism Offices in Delhi, Kolkata and Siliguri.They are also available upon entry at Rangpo Check post. Indian tourists also need to carry an identity proof document viz. Passport / Voter ID / Driving License / PAN Card / Govt. ID card etc. Restricted Area Permits (RAP) is required to by all tourists to enter certain border areas within Sikkim. These are available at Mangan and Gangtok. At first through luxuriant rhododendrons, pines, spruces and giants magnolia forests, then through green meadows and yak pastures, this trek leads us towards west Sikkim along the Indo-Nepal border. Along the moraines of the Onglakhing Glacier and sacred Samiti Lake, the climb to Gocha la Pass, the highlight of this magnificent trek, one can savour the breathtaking scenery of the Talung Glacier and the impressive east face of the third highest summit in the world, the mighty 8586-meter-high Kanchenjunga surrounded by the 6679-meter-high Rathong, 7338-meter-high Kabru, 7349-meter-high Talung to the south, and 7365-meter-high Kirat Chuli and 7123-meter-high Pyramid Peak to the north. The way back via a recently opened path, goes through lush green jungles overgrown with lianas and orchids. Itinerary (Chewabhanjang - Kunchenjunga Trek): Grade: Tough, Time: March-April, Duration: 21days, Average walking time: 5-6 hours per day. Day 1- GANGTOK- YUKSUM ( Alt 1760 M ) 6 hrs Drive form Gangtok to Yuksum Time taken 6hrs on the way visit Bonn monastery near Ravangla. Overnight at hotel. Day 2- YUKSUM – BAKHIM (Alt 2750M ) 5Hrs Trek from Yuksum to Bakhim 16 Kms time taken approx. 6 hrs. Walk through dense forest of pine and oak After crossing river PrekChu it is straight 70 degree uphill climb this is the toughest stage in the entire Trek then we reach Bakhim the trail from Bakhim passes through magnolia and rhododendron trees. Day 3- BAKHIM -TSHOKA (Alt. 3050 M) 1 Hrs Bakhim to Tshoka is 2Kms it’s a straight uphill strenuous trek. Tshoka is a small village. Overnight in Tent or lodge. Day 4- TSHOKA- DZONGRI ( Alt. 4020 M ) 4Hrs Trek from Tshoka to Dzongri is still a steep climbing time taken approx 5hrs we go through dense forest of rhododendrons there are over 400 flowering species , a place called Deorali Dara provides a magnificent view of mountains, Then we reach Phethang for a break .After Phethang still further climbing we reach Dzongri here the Vegetation is thin and we tend to find only small bushes and shrubs for the night stay here is a tourist hut Its usually overcrowded and noisy. In Dzongri early morning we take a walk to Dabla Khang (DzongriTop) the view from this place is magnificent one can view all the peaks. Acclimatization here is must for further ascending trekkers. Overnight in tent. Day 5- DZONGRI- BIKBARI (Alt 4000M ) 4Hrs As you start the trek you start to Gingey Deorali it’s a slightly uphill climb and the trekkers has to cross the valley .From Gingey you can see Rathong , Kabru south, Kabru North, Frey Peak, Kokthang. If one is lucky you can find blue sheep grazing. Day 6- BIKBARI –BASECAMP ( Alt 4600)- BIKBARI 6 Hrs After breakfast start the trek with steady uphill climb to base camp .This is one of the training camp for the climbers established by Nehru (Prime Minister of India).One can visit East Rathong glacier. Day 7- BIKBARI- TIGIPLA (Alt 3826 M) 6/7 Hrs.The trek will start with a flat table land after 2Hrs you have to descend downhill it is in the base of the hills. Day 8- TIGIPLA – PANGDIN – TIGIPLA M 4/ 5 HrsThe trek will start with a straight walk and climb uphill climb before reaching you have to descend down 1Hrs .This was an excursion so you have to trek back to Tigipla. Day 9- TIGIPLA – DZONGRI ( Alt 4020 ) 6 Hrs.After early breakfast the trekkers should start to trekking towards Dzongri in order to reach in time. Day 10- DZONGRI – THANSING ( Alt. 3930 M )Trek from Dzongri to Thansing takes about approx 4hrs after walking through the bushes and hedges At first its walking in the plain table land after few hours we rapidly descend down the river Prek on the way one can view almost all the ranges above all Mt Pandin looks beautiful. In Thansing besides the govt. hut its all barren here is no civilization. Overnight in Tent. Day 11- THANSING- LAMMUNAY ( Alt. 4250M ) 3 Hrs. Trek from Thansing to Lammunay takes about approx 3hrs its just a easy trek through thin vegetation.Overnight in tent. Day 12- LAMMUNAY- GOECHALA( Alt 4940 )–LAMMUNAY 8 Hrs As the trek starts with uphill climb one reaches Samiti Lake is basically , in the base of mount pandin because of its close attachment With Mt Pandim here a small beautiful lake has emerged. When it gets snowed the lake with the mountain Provides a spectacular unforgettable viewTrek from Samiti to Goechala back to Samiti takes about approx 7 hrs, the trek starts with easy grading. We come across Zemathang (4752Mts ) which means ( sand- plain land) the trail goes through moraines before reaching goechala one can view green lake formed right below the path deep down the hill, finally one reaches the second viewpoint from here one can view southern phase of Kanchenzonga.to the north is Goecha La peak. Day 13- LAMMUNAY– THANSING Lammunay to Thansing takes about 2 Hrs we have to camp here as the there is no place to pitch tent so we have to use this as a camp to explore Lampokhari. Day 14- THANSING- LAMPOKHARI (Alt 3900 )- KOKCHORUNG 8 Hrs. After early breakfast we walk easy and straight walk then gradually climb uphill about half an hour one reaches lampokhari it is long and slightly bigger lake than Samiti with a spectacular view of Lama - lamini and Simvo, Narsing peak. After Having pack lunch trek downhill to Kokchorung. Day 15- COKCHORUNG –TSHOKA 6 Hrs. Trek from Cokchoruing to tshoka takes about 5hrs it’s a gradual descend through thick forest it’s a long and Tiring walk this route joins the route of phethang to Dzongri trail. Overnight at tent. Day 16- TSHOKA- YUKSUM 6 Hrs. The trek from Tshoka to Yuksum takes about 6hrs overnight at hotel, Trek Ends. Food Includes 1-Bed Tea. 2-Break Fast.3-Lunch Both Pack and Hot Lunch.4-Tea and Snacks.5-Soup, Dinner and Deserts every Day during the Trek and at Lachen /Lachung. 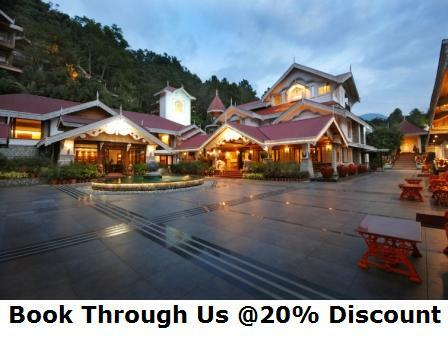 We serve Indian, Chinese, Continental and sikkimese dishes. Inner Line Permits (ILP) are required by foreign tourists to enter Sikkim. Permits are available at all Indian Consulates in the home countries and at Sikkim Tourism Offices in Delhi, Kolkata and Siliguri. They are also available upon entry at Rangpo Check post. 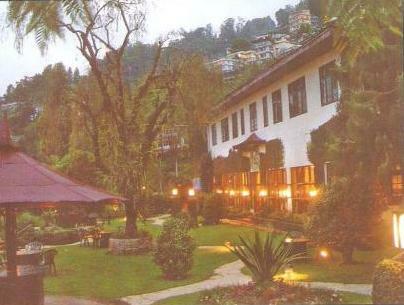 2.Destination : Best Location around Gangtok. 8.Itinerary in Detail : Start from hotel by 8:00 PM, or after Dinner, Beverages will be served at venue. Three hours of star gazing, professional guide and equipment will be provided. 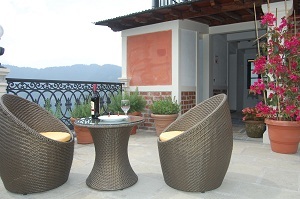 9.Our Speciality : Best hygienic food, professionally trained guides, angling guides, porters and staff. 8.Itinerary in Detail : Start from hotel by 6:00 PM to 7:00 PM, Beverages will be served at venue, followed by dinner around campfire with beverages, Three hours of star gazing, professional guide and equipment will be provided. Camp tea will be served by 6:30 AM, return to hotel for breakfast.